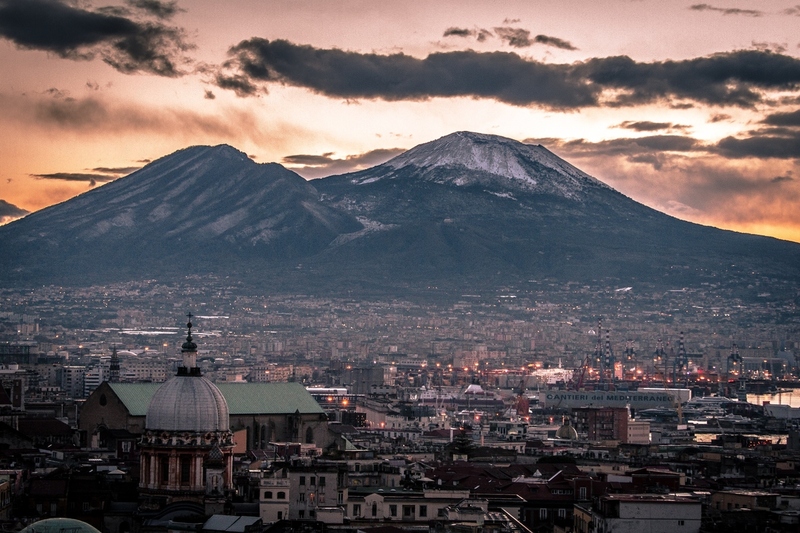 Vesuvius enters the history of volcanology with the eruption of 79 AD. It begins with the formation of a high column of gas, ash and lapilli, as described by Pliny, who from Miseno (20 km from the volcano), can observe it in all its development: “The cloud shaped like a pine, it lifted high in the sky and spread out like emitting branches “. Whole cities, including Pompeii and Herculaneum, are destroyed. The products erupted by Vesuvius cover the fields, fill the streets, houses and temples of the cities. After the eruption of 79 on Vesuvius falls a long silence and the first news of its persistent activity (“emit a lot of ash that reaches the sea”) is reported in 172 by Galen, a Greek doctor who describes the properties of the air dry of the place created by underground fires. Dione Cassio reports a violent eruption in 203, whose rumbles are heard up to Capua, 40 km from Vesuvius. News of two other major eruptions occurred in 472 and 512 are reported by Marcellino Comite, chancellor of the Emperor Justinian. He reports that on 6 November 472 “Vesuvius, the torrid mountain of Campania that burns with internal fires, has vomited the burned entrails, during the day it brought darkness with a minute dust on the surface of all Europe”. In the night between December 15th and 16th 1631, between strong explosions and earthquakes, Vesuvius returns to activity with a disastrous eruption that sows panic and destruction. With the eruption of 1631 Vesuvius enters a phase of persistent activity that lasts, except for short periods, until 1944. Violent episodes are reported in 1794, 1822, 1834, 1850 and 1872. After 1872 slow effusions of lava that they last for many years form reliefs (lava duomes) near the crater. On 12 August 1943 the lava resumed to flow into the crater from a mouth placed at the foot of the cone. The opening of this mouth causes the collapse of the cone which, in turn, causes an increase in explosions. On 6 January 1944 the lava flow increases. Ercolano: only the name evokes all a charm, a dimension, a distant world, rich in history and archeology, in the past and in art, yet completely close and immersed in the town of today on the slopes of Vesuvius. Buried under a blanket of ash and lapilli due to the eruption of Vesuvius in 79 AD, together with the cities of Pompeii, Oplonti and Stabiae, the ancient Herculaneum was brought to light by chance only in 1709 because of some works related to the construction of a well; subsequently the archaeological investigations have undergone many periods of pause and recovery, until finally arriving with a real systematic excavation conducted by the archaeologist Amedeo Maiuri in 1927. Today the city of Herculaneum, together with the ruins of Pompeii and Oplonti, is part of the list of the Campania archaeological sites of the UNESCO World Heritage. 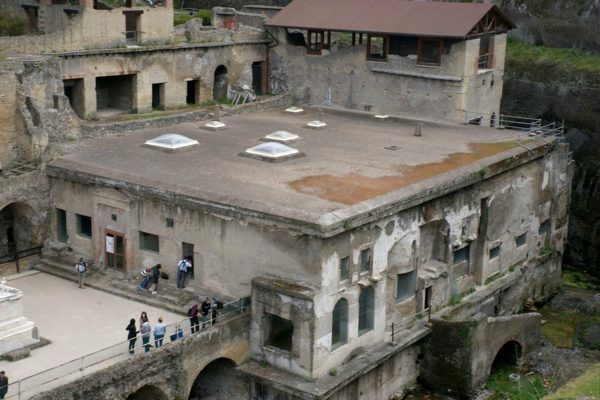 Suffice it to say that only in 2013 Ercolano was the most visited state-owned Italian archaeological site: the estimates of the Ministry of Cultural Heritage and Activities have about 330 thousand visitors for a gross income of 1,680,954.90 euros. 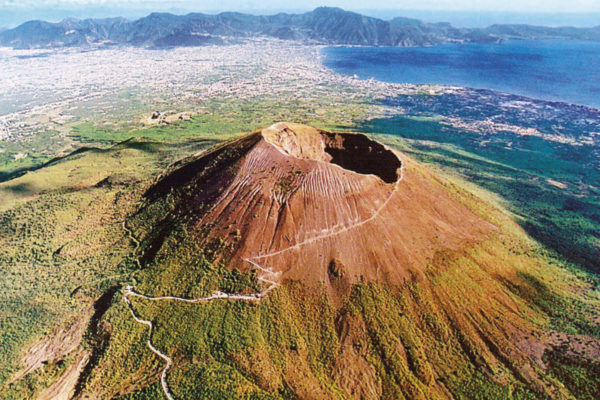 If you are visiting this area you certainly can not miss a visit to the volcano Vesuvius. 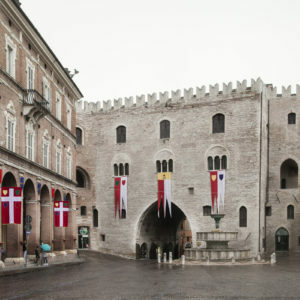 It is open all year round and does not require a reservation but you must buy a ticket that includes the guide service. With our minivans we will drive you to the top where you will start the guided tour of about 90 minutes. 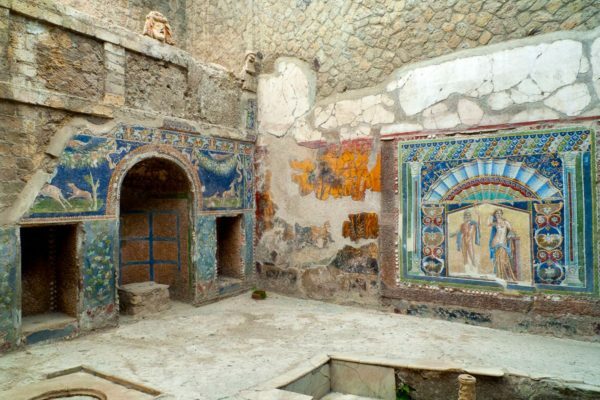 The early afternoon will continue with a visit to the fantastic excavations of Herculaneum where you will admire treasures that have been buried for centuries under the ashes of the Vesuvius. The establishment of the National Park of Vesuvius, which took place with the decree of the President of the Republic of 5 June 1995, comes after more than twenty years of initiatives by Italian environmentalists aimed at preserving the only active continental volcano in Europe and one of the most volcanoes world famous, post-war object of unprecedented aggressions made of cement, asphalt, waste, traffic and fires. The current morphology of Vesuvius has been determined by the most recent eruptions, and perhaps in a relevant way precisely from that of 79 AD. 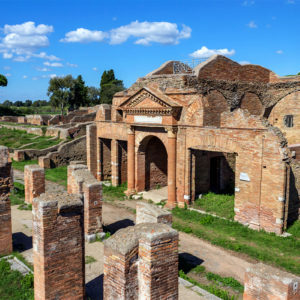 which destroyed Herculaneum, Pompeii and Stabia. The subsequent eruptions also modified the profile of the volcano, whose share has decreased or increased several times by several hundred meters.Today the Gran Cono is separated from the Somma’s crater walls with the spectacular furrows of the Atrio del Cavallo, Valle del Gigante and Valle dell’Inferno, which form one of the most interesting and exciting volcanic environments in the park. The Somma crater enclosure, still well preserved in the northern sector, dominates the valley of the Giant with rocky spurs and steep slopes of gravel and volcanic sands. 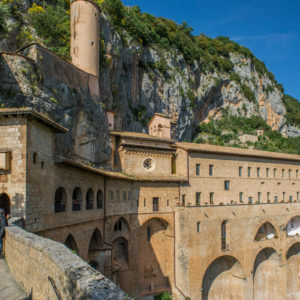 It has a typical up and down trend, from north-west to south-east, in the Cognòli of Santa Anastasia (1,086 meters), in Punta del Nasone (1,132 meters) and in the Cognòli di Ottaviano (1,112 meters), followed by the modest ones elevations of the Cognòli di Levante (874 meters), characterized by the most famous “rope” formations of the park. Vesuvius reaches 1,281 meters. The summit is located in the north-eastern section of the crater wall, in correspondence of the impressive lava walls that precipitate for almost 400 meters to the bottom of the crater. On the lower side, the one facing Naples and the coast, the edge of the crater reaches 1,158 meters and the difference in height between the bottom and the edge is about 230 meters. In the half century and more that separates 9 April 1944 from our days, the activity of Vesuvius is limited to the fumaroles, clearly visible on the walls of the crater, and to earthquakes of rather modest intensity. Sixty-three years, however, are nothing for earthly rhythms. According to geologists, Vesuvius is still a fully active volcano. It is not necessary to ask whether the eruptions will resume, we must ask ourselves when this will happen and if the institutions and the population will be ready to face them. ERCOLANO: The fact that the city had been covered with a glowing mantle of lava could explain the perfect state of conservation of the remains and would have allowed the preservation of the intact papyrus found in a villa. The Villa dei Papiri, once home to a library, is named for the treasure of Roman manuscripts saved from the ruins between 1752 and 1754. The papyri are now kept at the National Library of Naples, the French Academy of Sciences in Paris, the Bodleian Library in Oxford and the British Library in London. 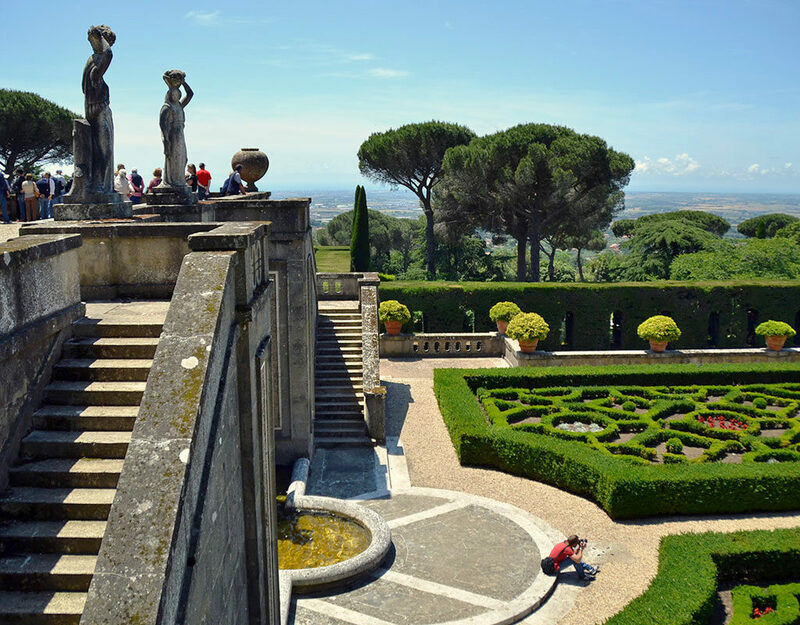 Among the marvels found there are also frescoes and mosaics, statues, shopping centers and villas. In addition to the archaeological area, you can visit the boat pavilion of Herculaneum, the only find under the lava in the ancient port of the city. According to historical reconstruction this ship was the only one on the coast not to set sail on that day of panic due to a leak. All the others, with the survivors of Herculaneum on board, sailed to safety. 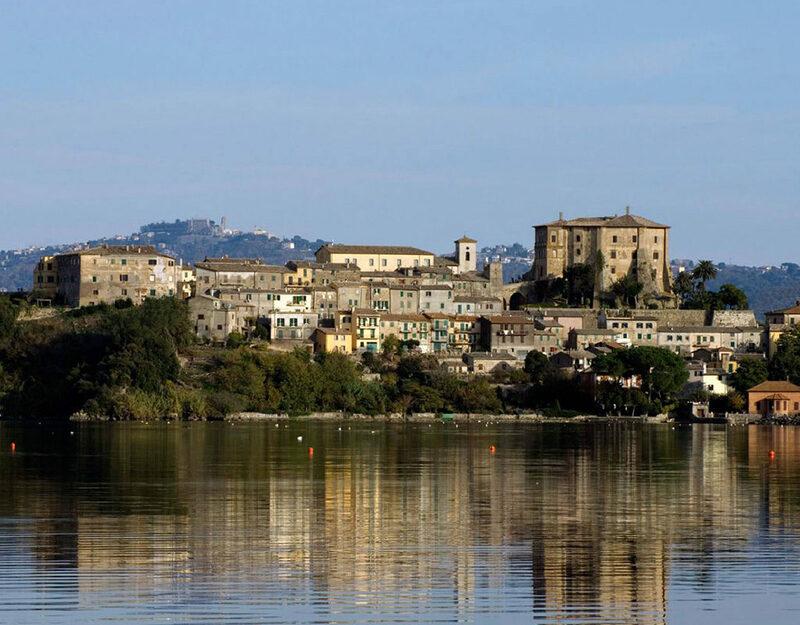 The inhabitants of the city, which was a rich residential center of the Roman aristocracy, set themselves mostly safe. According to recent historical reconstructions only the poorest, mostly slaves, could not save themselves. Their charred bones are packed together in one of the huts of the Port of Herculaneum.